ImageGuideEcho is managed by the American Society of Echocardiography and exists to assess specific quality metrics and patient outcomes as a vehicle to drive technology application within the field of echocardiography for the benefit of stakeholders, including patients, physicians, and researchers, through analysis of echo-specific registry data. ImageGuideEcho will begin with phase 1 by collecting data on site profiles, demographics, and TTE. 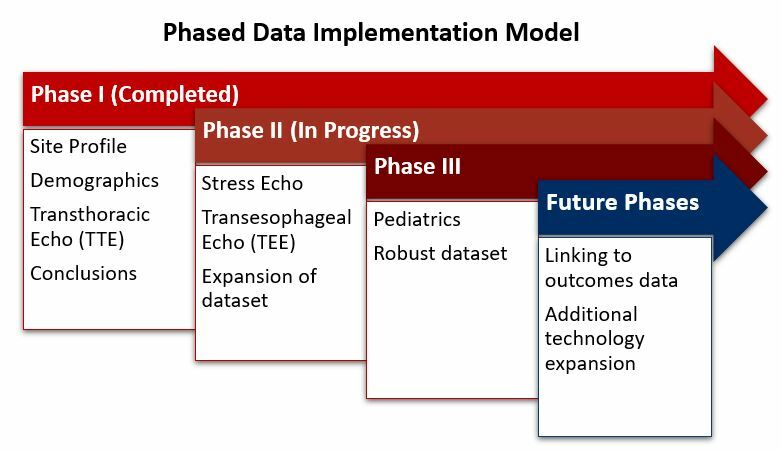 Future phases of development include stress echo, TEE, and later, pediatrics and congenital heart disease. By creating phased data implementation that coincides with advanced registry capabilities, ImageGuideEcho is uniquely positioned to become the foremost authority on echocardiography data for physicians, hospital administrators, industry, researchers, and the government. Enroll today or schedule a consultation.